Developed by Barringer Research Ltd. 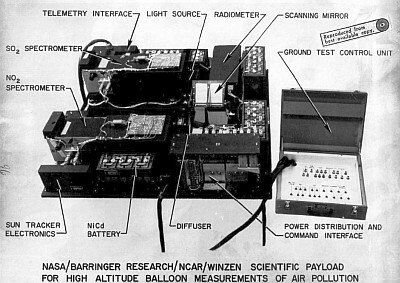 The objective of this esperience was to perform a high altitude balloon flight experiment to determine the technical feasibility of employing absorption spectroscopy to measure SO2 and NO2 gases in the earth's atmosphere from above the atmospheric ozone layer. 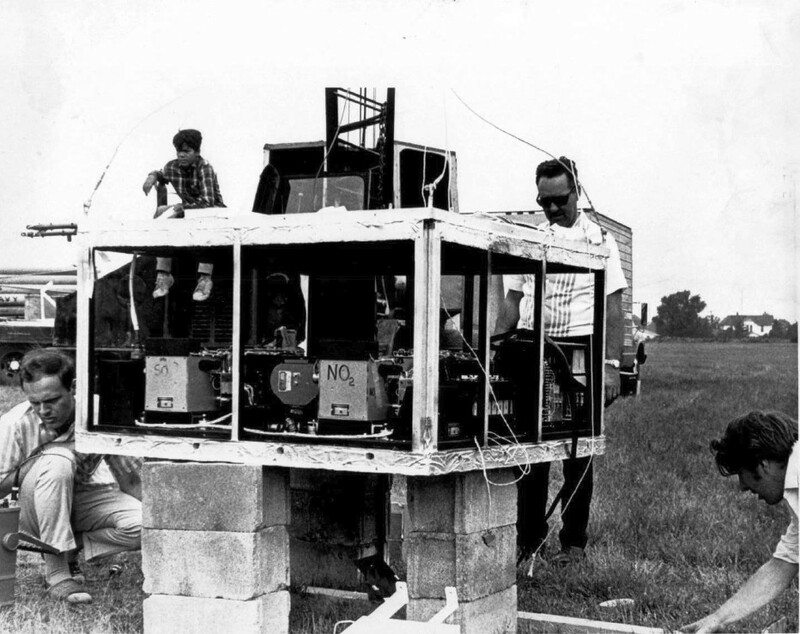 The city of Chicago was chosen as the target for the experiment primarily because of its size, pollutant source strength and excellent ground monitoring system. In addition, within a radius of miles the region is relatively free of large industrial centers of comparable size and the target should therefore standout as an unambiguous anomaly. Numerous small air fields in the neighbouring counties also offered the desired flexibility in launch site selection. The payload was composed by SO2 and NO2 correlation spectrometers, plus a radiometer. Both spectrometers scanned the ground through a common mirror assembly which was driven by a solenoid in bi-stable fashion from a position of vertical line of sight to a position 24º to the anti-solar side. The radiometer shared one mirror surface with the SO2 sensor. The bias to the anti-solar side was to take advantage of the reduced backscatter in the antisolar direction. Solenoid-actuated fused-silica reference cells were used in each sensor to determine incremental sensitivities during the flight. Quartz-iodine light sources and solenoid actuated diffuser plates were also employed as reference sources. The central area of the platform was reserved for ballast, the parachute and a 16 mm ground track recovery camera supplied by NCAR. 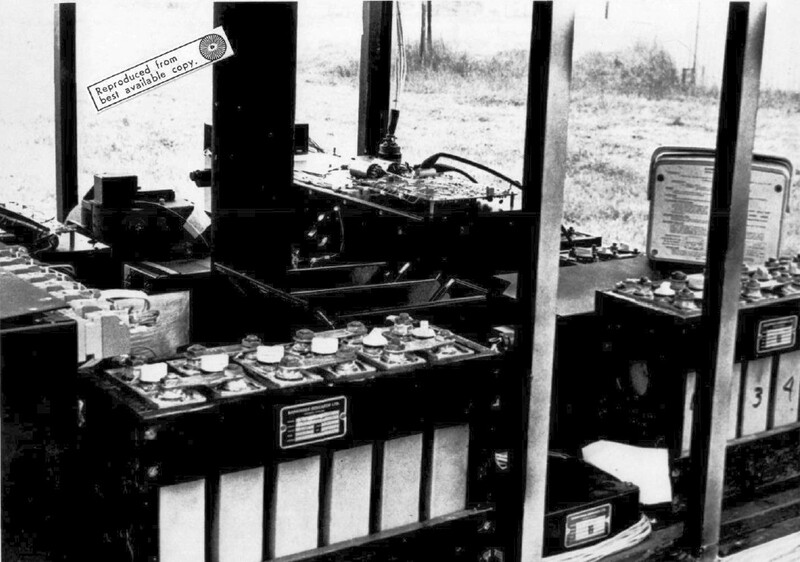 The ground test control unit was used to simulate the input channels of the telecommand link and to provide jacking points for monitoring output signals to the telemetry equipment. In this way the complete scientific payload therefore could be checked out as an integrated working system. The scientific payload was contained entirely within the gondola framework. The sun tracker design, was developed by the University of Saskatchewan. In principle the system was very simple and after a few modifications by Barringer Research proved to be a very satisfactory way of stabilizing the gondola in azimuth. The sun tracker consisted of three separate assemblies: the electronics, the solar cells and the rotator. 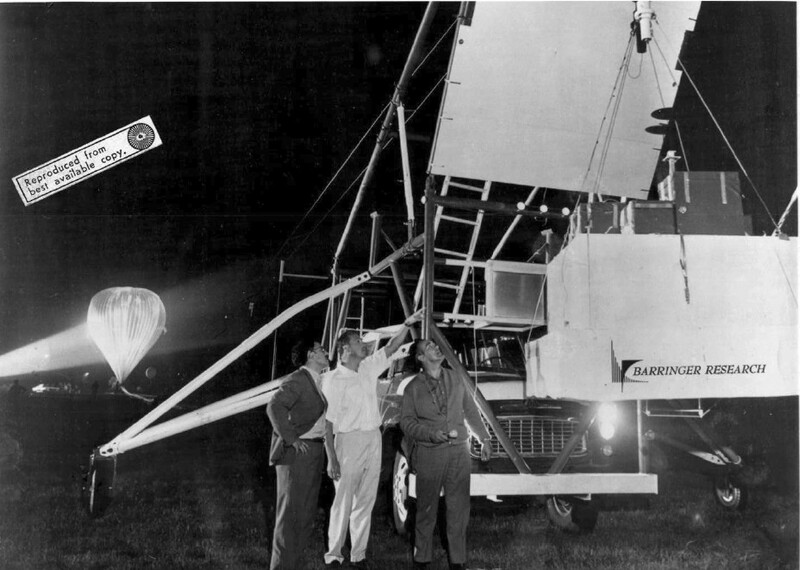 The balloon was launched by Dynamic method using a specially fitted launch vehicle from Dowagiac airport, Michigan at 3:55 CST on Sept. 3rd 1969. 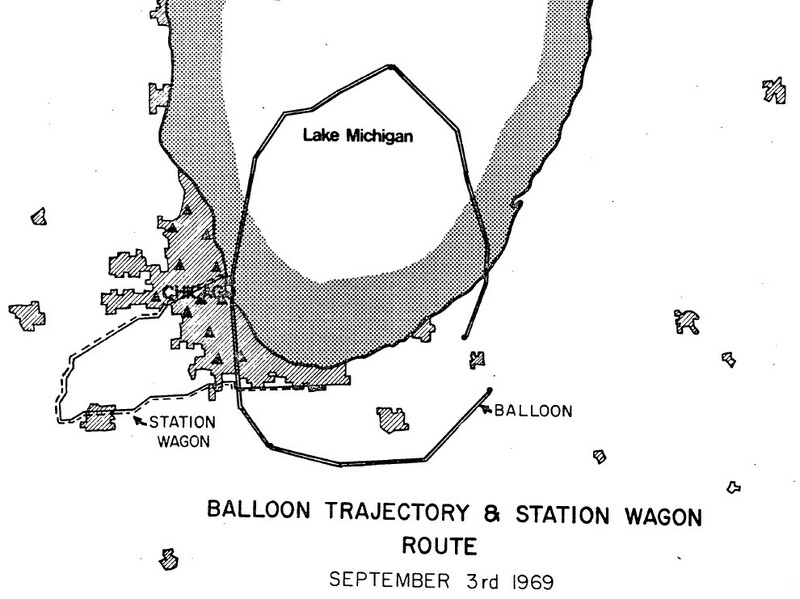 The trajectory of the balloon followed a clockwise pattern over Chicago at an altitude of 35 Km (114,000 ft.). At right can be seen a map showing the balloon's path. Total flight time was of more thatn ten hours. All data collected were transmitted to the ground in real time via FM/FM telemetry. The results indicate that all equipments in the scientific payload functioned essentially as planned with the exception of the radiometer which appeared to malfunction in one of the two UV channels and tended to saturate part of the time in the second UV channel. The visible channel was normal. The unexpected curvature of the trajectory carried the payload directly over the south-east part of Chicago but scattered-to-broken cloud cover obscured much of the ground along the track. Unfortunately the NCAR ground-track recovery camera malfunctioned and the cloud pattern over the flight path had to be reconstructed from meteorological data and satellite photographs.